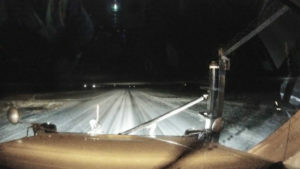 Iowa DOT photo from a snowplow cam on US 69, north of Lake Mills, during the 5 o’clock hour this morning. The second so-called bomb cyclone in less than a month is bringing Iowa a mix of snow, ice, rain, high winds and the threat of flooding, hail and tornadoes. MidAmerican Energy reports some 1,800 homes and businesses were without power this morning, while Interstate-35 northbound near Dows was blocked due to a semi that was blown onto its side. An Ice Storm Warning is in effect until Friday morning for parts of northwest Iowa, while several northern counties are seeing snowfall, enough to delay school two hours in some areas. Podrazik says there’s a threat of more severe weather coming this afternoon. “That’s mainly across the eastern portion of the state, I-35 towards Iowa City, Cedar Rapids, Waterloo, Davenport area,” Podrazik says. 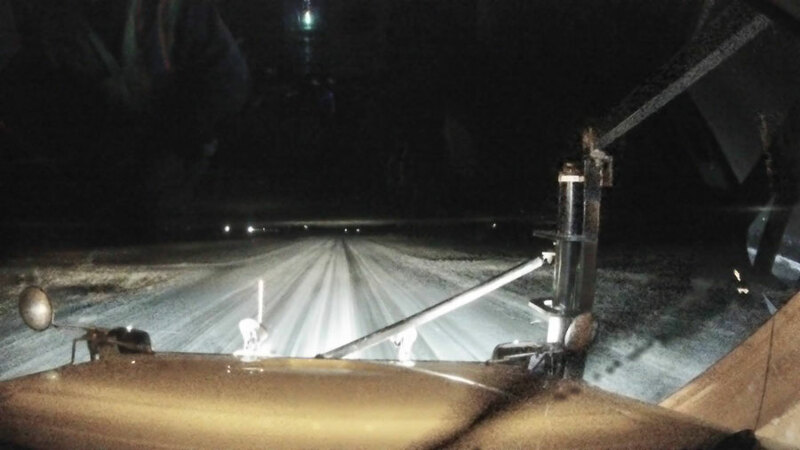 “That threat is looking like hail and maybe even a small, isolated tornado threat, too.” The first bomb cyclone brought snow and heavy rain a little over three weeks ago, which translated into record flooding in parts of southwest Iowa. While some Iowans were outside in shorts and t-shirts on Monday as high temperatures soared into the 70s and low 80s, highs statewide on Friday may only be in the 30s and 40s. The forecast calls for temperatures to warm back into the 60s and 70s by early next week.